Samsung is hosting its Galaxy Unpacked event on February 20 in San Francisco. The company is expected to launch the Galaxy S10 lineup of phones at the event which includes the Galaxy S10+, Galaxy S10 and the Galaxy S10e. The company will also unveil its Foldable phone at the event. 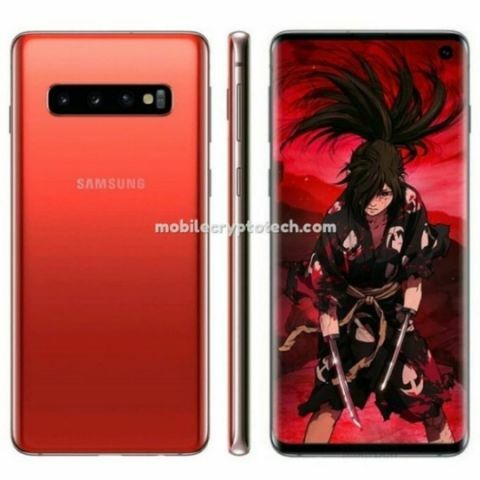 Leaked banners revealed Cinnabar Red and Blue colour variants of the Galaxy S10. Evan Blass also leaked an image showing 3.5mm headphone jack on the Galaxy S10+. Samsung will announce the Galaxy S10 lineup at an event in San Francisco on February 20. With just over a week to go for the Galaxy S10 lineup to launch, some last minute leaks have revealed new information and also confirmed previous rumours. 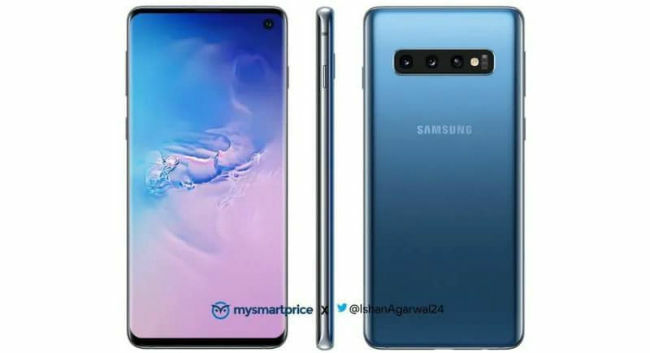 In the past 24 hours, alleged banners, renders and listing of the Samsung Galaxy S10+ have surfaced online. While the banner reveals new information like a 3.5mm headphone jack, the renders show the phone in a new Cinnabar Red and Blue colour, while the listing revelas a Ceramic Black colour variant. The alleged Galaxy S10+ banner was revealed by noted tipster Evan Blass on Twitter. The banner goes on to confirm everything we know about the flagship phone. Multiple leaked renders of the phones have revealed the Galaxy S10+ will sport a dual camera in a punch-hole on the top right corner of the display. There is minimal bezels around the panel while on the bottom, there seems to be a 3.5mm headphone jack. Other renders that show the Red and Blue colour variants with a triple-camera setup on the back. This is also the first time we are hearing of the red colour variant of the device. So far, most of the leaks and rumours have suggested three colours — Green, Black and White. It could be possible that these colours are reserved for a later launch, and in the upcoming event, we might just see the three previously leaked colours. The Galaxy S10e, on the other hand, is expected to come in a variety of colours including a Canary Yellow, Green and White and Prism Black. There is also likely to be a blue version of the phone. Finally, around the same, a Vietnamese retailer accidentally listed a ceramic variant of the Galaxy S10. The listing reveals the phone with 8GB RAM and 512GB storage with a price tag of Rs 30,990,000 VND (roughly Rs 94,400). It’s not clear how accurate this information is. To recall, Samsung is hosting a Galaxy Unpacked event on February 20 in San Francisco. The company is expected to launch the Galaxy S10 lineup of phones in the event which includes the Galaxy S10+, Galaxy S10 and the Galaxy S10e or S10 Lite. There is also rumours about the foldable phone launching at the same event, as well as a 5G variant of the Galaxy S10. How is Samsung Galaxy Note 5 and Samsung Galaxy S7 Edge.